I was going to use the words 'book review' in the heading, but this isn't quite that. 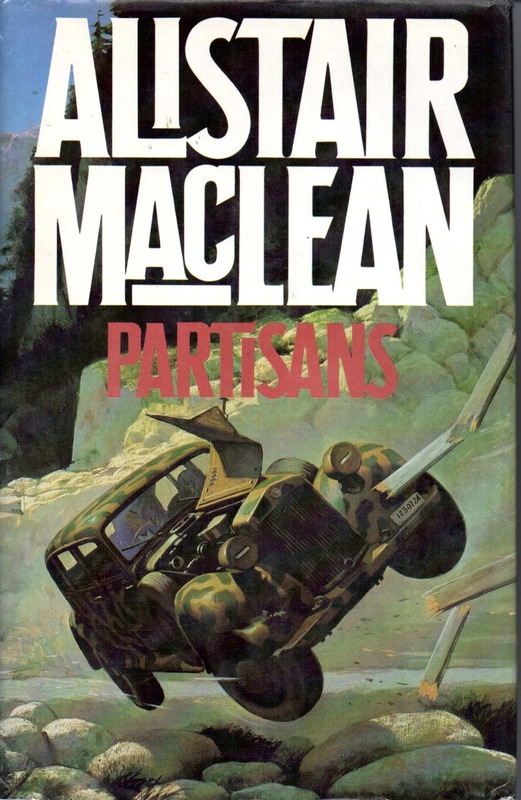 Alistair MacLean’s 1982 ‘adventure’ Partisans is one of the least enjoyable books I’ve read. I feared it wouldn’t be great having been disappointed with a number of his later outings, the last two that I read being The Way to Dusty Death (1973) and Circus (1975). He published three more thrillers after this book, but, sadly, I’m not inclined to read them. Like millions of readers, I enjoyed immensely his ‘classic’ thrillers, Guns of Navarone, HMS Ulysses, South by Java Head, Night Without End, Fear is the Key, The Golden Rendezvous, When Eight Bells Toll, Where Eagles Dare and even Force 10 From Navarone. The plot is exceedingly thin: an espionage team led by the enigmatic Major Peter Petersen are sent to contact the pro-German Yugoslav Royalists (I think!) But of course there’s betrayal and not everyone is what they seem, in standard MacLean fashion, and it all appears contrived and confusing. The writing is third person narrative, with ironic asides and misdirection, but in the main sub-standard MacLean. However, the narrative is almost entirely in dialogue between the various characters. There is very little action or suspense – almost everything seems to occur ‘off-stage’ and is related through speech. And what a lot of long speeches we get! Nothing here even pretends to relate to real life; and there is no feeling for any character, not even the omnipotent all-knowing Petersen. If you're a fan of MacLean's and you haven’t read this book yet, then do so by all means. But be prepared to be disappointed. I don’t normally write negative reviews. Sometimes, the book is bad because a publisher or editor have not done their job. Here, it appears that William Collins & Co were reluctant to fling the manuscript back and published it regardless, knowing it would initially sell due to the author’s established (and richly deserved) fame. Alistair MacLean died in 1987, aged 64, apparently due to alcoholism.